Kenya safari and beach are the perfect holiday combination. The Masai Mara National Reserve and the Tsavo East and Tsavo West National Parks are the top safari destinations, whereas Nyali Beach, Bamburi Beach, Diani Beach and Tiwi Beach provide an excellent opportunity to enjoy Kenya’s pristine sandy beaches. Kenya is the heart of the African safari, so by choosing it as your safari destination, you can’t go wrong. The country’s tourism industry is well established and there are numerous National Parks and Reserves to ensure you have a perfect safari experience. The Mara as it is popularly known is the world’s most famous safari destination. It is where the seventh natural wonder of the world takes place every year between July and October. During the annual great wildebeest migration over a million wildebeests and hundred of thousands of zebras and gazelles trek from the Serengeti plains in Tanzania right through the Mara in search of water and pasture. Masai Mara National Reserve is also one of the best places to take a hot-air balloon safari. These two game parks are the largest in Kenya. They occupy an area of 22,000 square kilometers and they are the closest to Mombasa (100 kilometers from Mombasa to Tsavo East gate). If you want to have a Kenya safari and beach holiday, the Tsavo East and Tsavo West National Parks are a good choice. In both game parks you will see the Big Five (lion, elephant, rhino, leopard and buffalo) and other wild animals together with numerous species of birds. Tsavo East National Park is the larger of the two parks and African elephants roam freely in this arid bush, which forms part of the Yatta Plateau. Other plain animals are in abundance including lions, buffaloes, rhinos, leopards, gerenuks, lesser kudus, zebras, wildebeests, waterbucks and many others. The park is also home to more than 500 species of birds. Tsavo West National Park is a game watcher’s paradise. All the Big Five are present here including the almost extinct basra reed warbler, corncrake, antelopes, hippos, crocodiles, vervet monkeys and baboons. Rocky ridges in the park are a major geophysical attraction. Seen from Mombasa, it is past Tsavo East and Tsavo West National Parks and famous for its elephants, numerous birds and spectacular views of Mt. Kilimanjaro (Africa’s highest mountain). Mombasa beaches have soft white-sand, coconut trees, palm trees, wold-class resorts and year-round sunshine. Here are my favorite North Coast and South Coast beaches. It is the first beach to the north of Mombasa Island and has the most popular resorts on the North Coast such as Voyager Beach Resort and Nyali International Beach Hotel. Kitesurfing, windsurfing and kayaking are popular water sports in Nyali Beach. 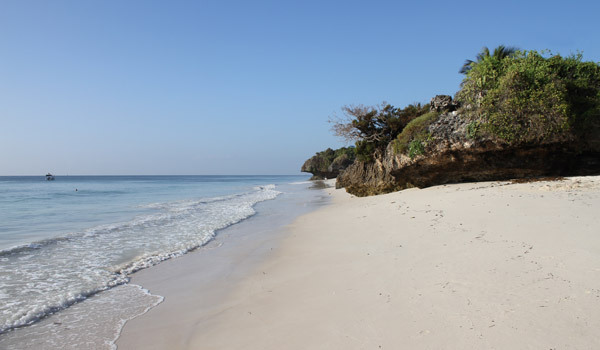 Shanzu beach is located 30km north of Mombasa, off Mombasa-Malindi Highway. It has several beach resorts and hotels, bars and restaurants, where visitors can relax and unwind. Shanzu beach offers pleasant views of the Indian Ocean, sheer beauty of the coast and endless water spots making it a perfect place to conclude a Kenya safari and beach holiday. It has great restaurants, big hotels and spacious beach apartments and villas. You can enjoy kitesurfing, scuba diving, snorkeling, camel rides and dhow sailing. Diani beach was voted Africa’s Leading Beach Destination in 2014 and also in 2015 at the World Travel Awards. It has world-class resorts and offers a wide range of cottages and villas. The reef is only 8-minute boat ride away from the shore. It is the closest to Tsavo East and Tsavo West National Parks and other tourist attractions. If you are looking for a quiet time, Tiwi Beach has the ideal beach to visit. The only big beach resort here is Tiwi Beach Resort. There are a number of self-catering accommodations, which are suitable for families and business ex., Hill Park Tiwi Beach Cottage. The reef is also near making it a great place to swim. 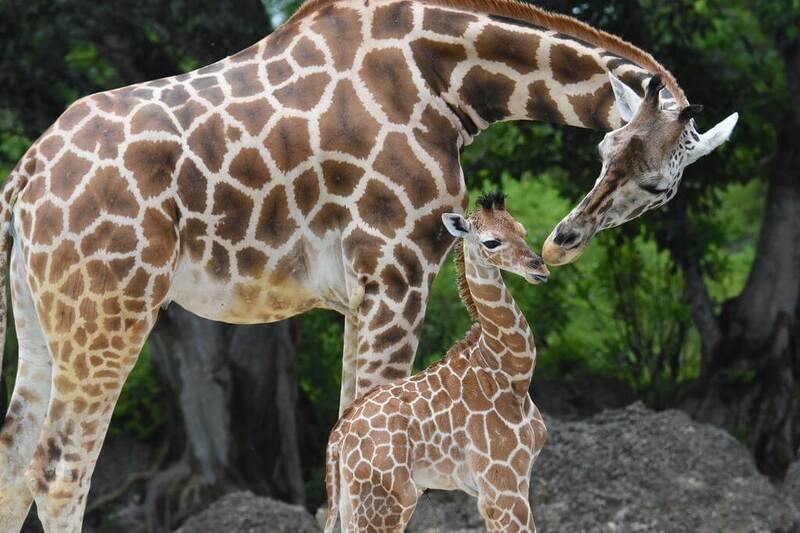 There are tailor-made safari tour packages that can easily be combined with a beach stay.